When Hill People Gear planned the Recon Kit Bag, they kicked around basing it on the original pattern instead of the Runner's pattern. The decision was made not to do that at the time because a full thickness original with even more stuff hanging off of the front was not a good idea. It's still not a good idea, but they've continued to work on that concept off and on since then. They've also continued to test different variations of internal organization, partly due to requests from specialized units, partly for our own uses. Evan hasn't been carrying a bone stock Kit Bag for over a year. When their manufacturing partner First Spear introduced their 6/12 fabric it really solved some weight, bulk, and heat problems as well. 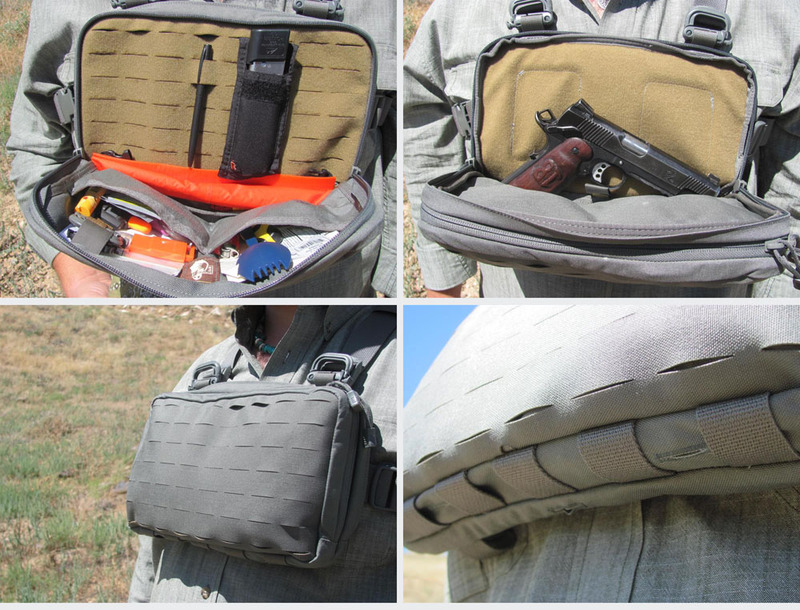 All of that fiddling around has resulted in the final iteration of what they refer to as the "Heavy Recon Kit Bag". It has all of the tacti-cool goodies thrown in, while still maintaining some semblance of the low profile look that is important to them. -Rear of 1" deep main compartment (.5" thinner than original KB main compartment) is fully lined with FS 6/12 fabric with velcro loop facing outwards. You can use either velcro backed or PALS pouches on this face. Great location for heavier items that need to be secured such as magazines. 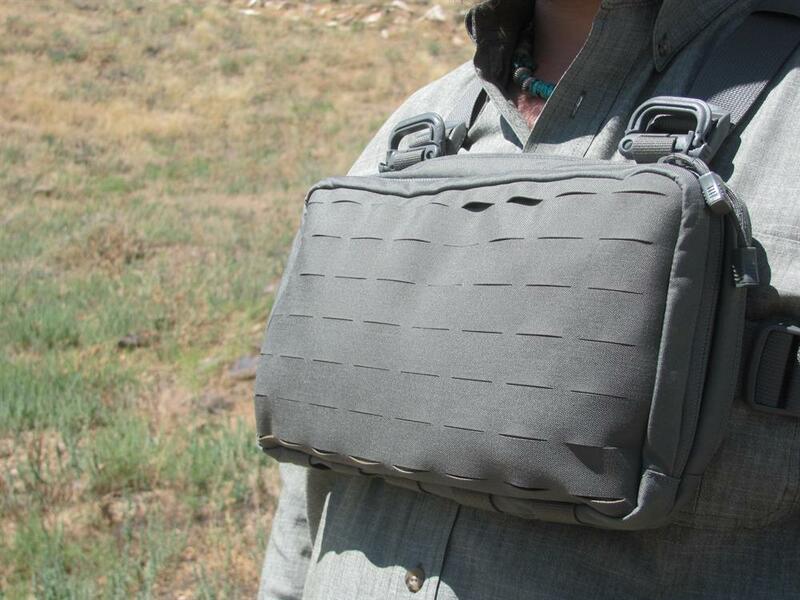 -Front of main compartment has dual slot pockets with dummy cord loops. -Front of bag has 4 row / 8 channel PALS grid implemented with FS 6/12. It can be used with FS proprietary 6/12 pouches or any PALS accessory. -Bottom of bag has 5 row / 1 channel PALS grid. Good location for knife, suppressor, or tourniquet.